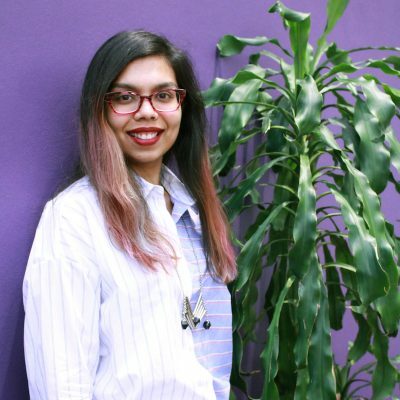 Farah Rahman has always had an interested in social businesses and social innovation. She is passionate about giving back to the community and is particularly passionate about preserving the environment. Formerly an intern with the Grameen Bank in Bangladesh, a Nobel Prize-winning institute, Faraha has also worked at a private investment firm, as a mental health assistant with adults with mental illness, and she currently volunteers at the Ottawa Main Mosque where she focuses on reducing waste at the facility and introducing greener initiatives within the organization’s budget. “I want to educate my immediate community about how to minimize waste and divert it away from landfills, and make it easy for them to do so. Faraha joined the DOT Impactathon to work on her initiative, A Rubbish Idea: Waste Diversion Through Community Programs, which works with community members to make her home of Ottawa, Canada a cleaner, greener place. In Faraha’s research, she has learned that Ottawa’s waste diversion rate is below that of the Province of Ontario, and ranks below the province’s top performing cities by 25%. Her ultimate goal is to ensure that there is minimal waste from the City of Ottawa that ends up inside landfills, and believes this can be accomplished by providing citizens with bins with clearer signage and water efficiency attachments for faucets, among other interventions that her initiative will lead. “Something I’ve learned [from the DOT Impactathon] is that it’s okay to not have all the answers, that there are plenty of people along the way who will help you figure things out. I really enjoyed meeting some amazing people [through this program] and learning about their own ideas that will change the world for the better. Faraha is one of seven young women in Ottawa, Canada who were selected to attend DOT’s youth innovation summit in Nairobi, Kenya. Curious about DOT's Impactathon for social entrepreneurs?